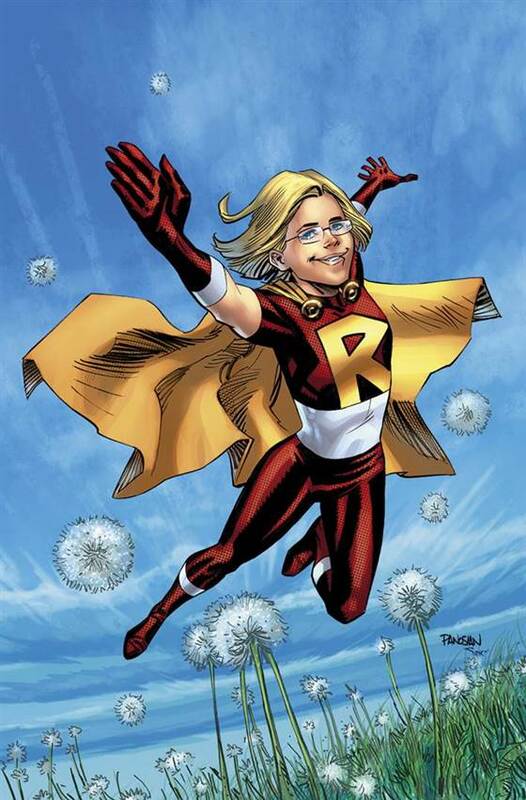 DC Comics responds to 11 year old Rowan Hansen’s letter asking for more female heroes, by making her one! In January of this year, 11 year old Rowan Hansen, a fifth grader from Champaign, Illinois. Wrote DC Comics a very well thought out heartfelt letter asking why female heroes aren’t represented more in movies, comics and collectibles. 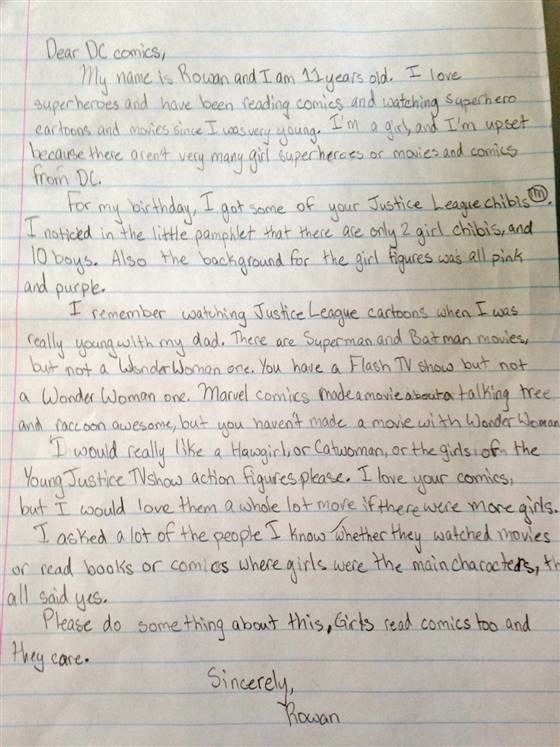 Rowan wrote, “I love your comics, but I would love them a lot more if there were more girls.” Rowan ended her letter with “Please do something about this, Girls read comics too and they care.” You can read Rowan’s letter in it’s entirety below. During the segment Today Show correspondent Jenna Bush Hager surprises Rowan with a huge gift basket from DC Comics and this very cool item below, DC Comics presented a sketch by artist Dan Panosian of a new superhero, Rowan! Rowan and her parents were speechless, her mom even had tears in her eyes. Rowan responded about the sketch with, “Oh my god she is so cool, This needs to have a place of honor.” in reference to displaying the sketch in her home. Being the father of a 10 year old daughter myself, I’ve been lucky in having a great local comic shop to bring her to! Collector’s Corner in Baltimore, Maryland has run a great Girls Only Comic Club for years and has a great kids corner inside the store filled with kid friendly comics, graphic novels and toys. They also run one the biggest family friendly Free Comic Book Days in the industry with free pizza, water, comics and creator signings at both of their locations. Store owner Randy Myers being the father of two girls himself, has worked hard to grow the comics culture in Baltimore and fosters a family and female friendly environment in his stores. Today Show viewers after watching Rowan’s story shared photos of their daughters as superheroes. What a great idea, Share photos of your daughters in the comments section below or share on one of our social media sites. To start things off here’s a few pics of my daughter throughout the years.